Looking for a good tablet for your young kids? I recommend you don’t spend a fortune. As a parent of five kids, I’ve learned the hard way that sharing electronic devices with my children isn’t always the best idea. We’ve lost phones, tablets, and even pictures we can’t get back. High-quality devices certainly aren’t immune to the cracks, scratches, or charging issues that kids often cause. For that reason, my wife and I decided to get our kids their own tablets. Keeping in mind their uncanny ability to break all of our electronics, we are sticking to a budget of Under $100 and ultimately spent under $50. 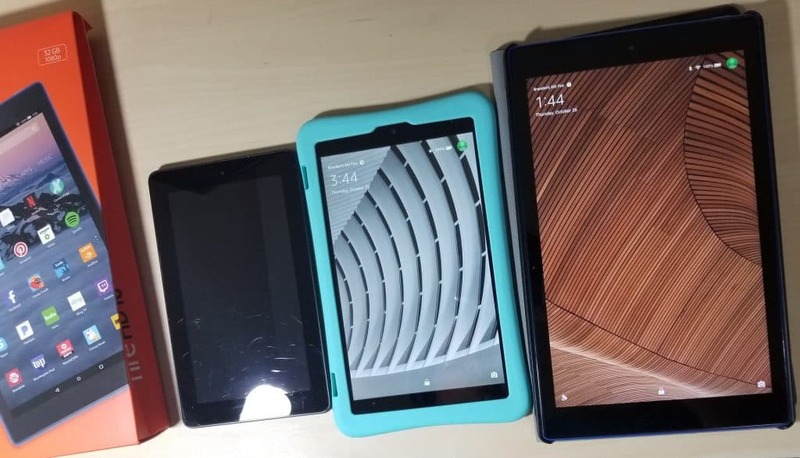 If you’re thinking about purchasing a new tablet for one of your kids this year, here’s a few tablets that should be at the top of your list. In 2017 Amazon released 3 7th generation models; the Fire 7, HD 8, and the HD 10. We purchased all three of these this year. So, if you’re looking for a general size comparison, here’s a peak. First of all, I’d say this depends on their age. We purchased the HD 10 for our 12 year-old son. He loves the higher resolution screen, additional storage space, faster processor and system overall. However, this tablet is pretty big. So, I’d recommend for most kids the HD 8 and the HD 7. 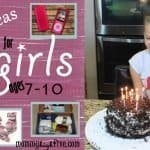 If you’re looking for a cheap tablet for your young kids, I think the Fire 7 is a fantastic option. And if you purchase it during Black Friday, Cyber Monday, or Prime Day you can save around $15 on the overall price. At $35 for the 8GB version with special offers, it’s pretty unbeatable in terms of performance. At around $30 more, the all new Alexa Hand’s Free 8th generation HD 8 is another great option for your kids looking for a bit more performance. The HD 8 has a sharper screen, additional RAM for a smoother overall performance, more storage capacity, and a significantly better battery life at up to 12 hours rather than 8. My ten-year-old Daughter took this on an 8 hour (overall) plane trip across the US and never had to worry about charging it. This would be my preference for a good value for your kid. The Fire tablets run on a modified Android OS. As such, they don’t allow you to install the Google Play Store. That being said you can install the Google Play store on the device if you’re willing to use Google and do a bit of research. In addition, these tablets come with special offers that add ads to the lock screen. You can remove these by paying $15. Should You Buy the Kids Edition? At around $30 more for each of these, you may be wondering whether the Amazon Fire Kids Edition is worth it or not. 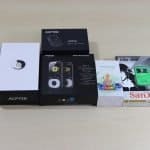 The basic difference between it and the standard version is that it comes with a silicone case, a 2-year accident worry-free guarantee, and a year of Kids FreeTime Unlimited. 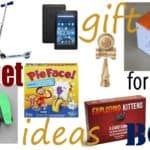 FreeTime Unlimited is a service which allows your kids up to 10,000 free books, TV shows, apps, and games. The cost structure is below. With OverDrive and free apps available to the general public and to Prime Members, Freetime Unlimited certainly isn’t required. It’s definitely an option for those who want safe options with their kids without having to think about it. Still, if you think about a case being $15 to $30 and a FreeTime Unlimited costing $36 for a single year, it certainly seems worth it if you want to go with their service. In addition, the two years of protection is great if you’ve got some crazy kids! Amazon calls it a $140 savings, but I’ll leave the math up to you. If you’re ok with having an Amazon tablet, these are certainly the option I’d recommend for kids. You get more performance, a better resolution, and therefore a better experience overall for the money you spend. If there’s someone who can compete a bit with Amazon, it’s Dragon Touch. They offer a $70 kid’s tablet that’s pre-installed with Disney Content that would cost you around $80. For under $70 you get a tablet with a 1024×600 IPS screen, silicone bump case, dual camera, HDMI, a 1-year warranty, and Bluetooth. For parental controls, the Dragon Touch Y88X Plus comes with Kidoz pre-installed. This gives them access to apps without you having to worry about anything inappropriate. The performance is decent for the price, albeit fairly basic. It includes an 8GB hard drive and a microSD slot. Overall, I’d recommend the Dragon Touch for those who don’t want to have to worry about messing with an Amazon device. It’s a good value for what you spend and even comes with a Silicone case that protects it from bumps and bruises. Be sure to go with newer models that offer more for just about the same price as the old models. Dragon Touch also has a 2017 X10 version that comes with additional Ram and a faster processor. LeapFrog made a huge step up with the LeapFrog Epic when they decided to incorporate Android 4.4. While parents still don’t have access to the Google Play Store, the operating system is more responsive and allows for more games than you could previously get on LeapFrog’s tablets. What’s more is that it’s easy to setup and get started. With a kid-friendly, out of the box setup and 20 pre-loaded apps, your kids will get going right away. In addition, the Amazon App Store is available, which allows for a lot more flexibility than parents have had before. There’s also a ton of parental features installed on the Epic Academy Edition. This includes a safe browser as well as a timer that you can use to set how long your child can play. In addition, you can control Netflix and Android Apps which they can install or view. This tablet comes with 3 months free of LeapFrog Academy. And, if you’re going to purchase it, it’s probably a good idea to go with the service. It offers hundreds of games, apps, videos, and music. This offers your child exposure to apps and options they don’t have elsewhere. Still, after the initial 3 months, you’ll have to pay monthly. This will certainly be a turnoff for some parents who would prefer to avoid monthly payments. 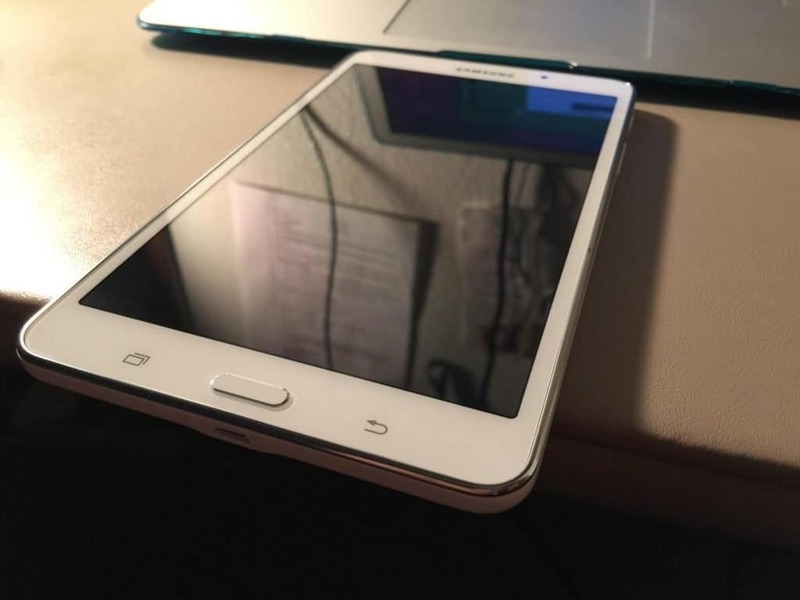 This tablet is very similar in performance to the Fire 7 above. This goes for the speed and its screen. It’s nothing amazing, but it does a good job for the games that your child will run on it. In addition it comes with 16GB of memory with an expandable SD card port. Overall, there’s a lot to like about the LeapFrog Epic Academy Edition. 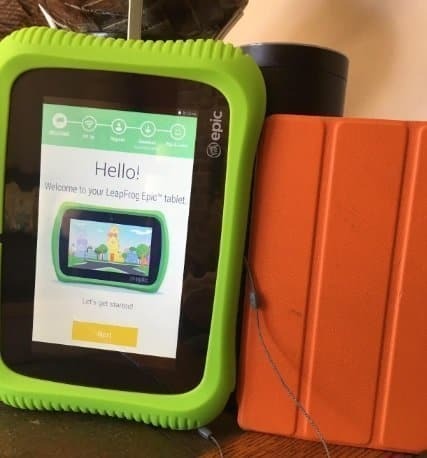 It’s more durable and kid-friendly than other tablets in the category and gives access to LeapFrog’s highly educational apps. It also makes the process of parental control very easy which is not the case with many other options. On the flipside, the LeapFrog Epic doesn’t incorporate an IPS screen and is a bit thick and heavy. As a basic android option with a quad core processor, kid-proof case, Quad-Core Processor, 8GB of Storage, and 1GB of memory, the Alldaymall Kid’s tablet is a pretty decent option for just under $50. It’s available in 4 different colors including blue, green, pink, and red. With the 1.2GHz processor and GB of RAM the performance here is decent for the price but certainly won’t be able to handle everything your child might want to throw at it. 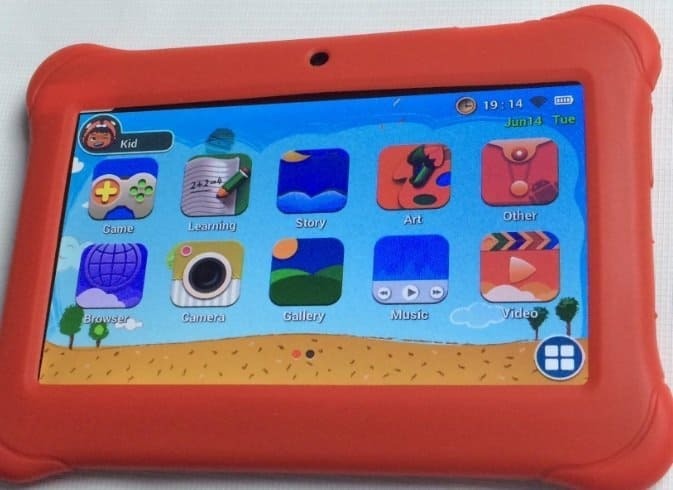 Like many other children’s tablets it comes preloaded with some parental features that allow you to control what your child is watching and downloading. Overall, it’s a good option for the price, but certainly doesn’t rival Amazon’s Fire 7″. The screen, performance, and experience of the iPad Mini 4 may be ideal, but the price tag may be too high for parents of young children. If you’re willing to pay up and have a child that isn’t reckless like mine, consider the iPad Mini4. The screen, performance, camera, and battery life, are about as good as you’ll find. The Apple iPad Mini 4 is about as smooth of a device as you can come across. Unfortunately, it doesn’t allow expansion through a MicroSD card. So, if you need expansion you’ll need to pay up for the 64GB or 128GB versions. In addition, you’ll need to install parental control apps and purchase a kid shock-proof case separately. 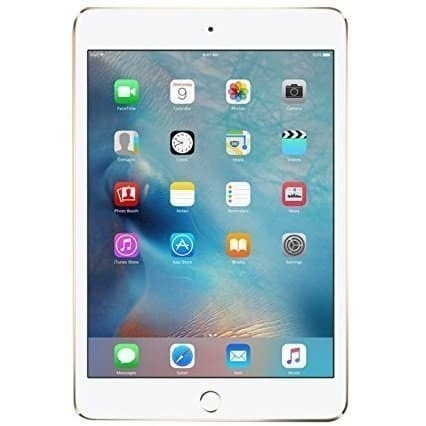 If you want to stick with Apple but don’t want to pay up, consider going with the Apple iPad Mini 2 for around half the price. It’s still a great performer despite its late 2013 release. 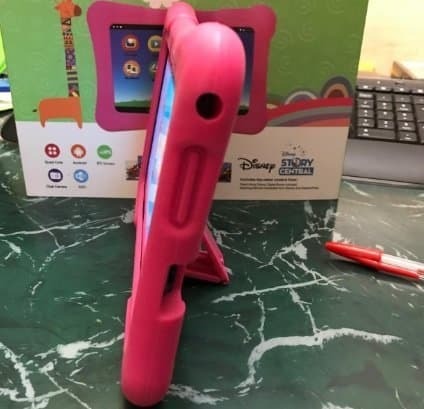 A Galaxy Tab 4 along with kid’s case makes a great alternative to the pricey and somewhat limited Galaxy Tab 3 Lite Kids Edition. I wanted to give you two options here when it comes to Samsung tablets, as I feel that one is distinctly better than the other. For around $100 you can get the Samsung Galaxy Tab 3 Kids edition with a nice case and somewhat slow processor. The device is nice for some, as it comes with parental controls out of the gate and some fairly good features. Skip the Kids Edition and go for the Galaxy Tab 4. You could also go with the Samsung Galaxy Tab 4, get a kid case compatible with the Galaxy Tab 4, download a few apps, and have a much better experience overall for a price tag of around $160 (after the case). The Galaxy Tab 4 features a 1280×800 WXGA resolution screen, a quick 1.2GHz quad-core processor, and 8GB of internal memory that’s upgradeable to 32GB with a microSD card. If you’re tech-savvy at all, the Galaxy Tab 4 is probably the most attractive tablet for kids in the $150 space. It has a great screen, runs all modern apps, and has a great camera as well. 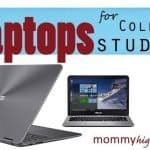 I cover this topic in more depth in my post on the best laptops for college students by budget. If you’ve ever looked into the specifications of a tablet, you might have seen IPS or TN next to the screen’s resolution. Generally, if it’s not mentioned, you can assume it’s a TN screen. As far as tablets are concerned, IPS displays have wider viewing angles and are typically better quality overall. Whether or not a tablet is IPS does not necessarily mean that it will be more responsive. Although not listed, Apple’s Retina Display is an IPS display. For resolution, the higher the number the better. For example, 7″ tablets go from around 1024×600 all the way up to the 2048 x 1536 resolution for the iPad mini 4’s 7.9″ Retina Display. The higher the resolution, the crisper the screen will appear. That being said, even 1024×600 displays look good on a 7″ display and will likely be good enough for many kids. Storage is a big factor for me, as many kids’ tablets come with 8GB to 64GB of capacity, with no micro SD card to be able to expand that storage. Unless you plan on actively managing your child’s tablet, it’s a good idea to find a tablet that can offer additional expansion. This is especially true if you go with some of the smaller capacity models. I regularly write about computers so processors are something I analyze often. With the varying processors you find in more generic tablets, it’s difficult to understand exactly what you’re getting. All of them list a Quad-core processor at a certain level of GHz, but with so many brands, the quality of processor can vary greatly even if it looks like it has the same specifications. For that reason, you’ll want to read customer reviews to see how cheaper tablets deal with more modern apps. In addition, as older models also linger on retail sites, it’s also important to go with newer release models that are often available for a similar price. If that’s confusing, I’ll give you an idea of some of the better options available below. Despite the lock screen ads and Amazon’s App Store, the Kindle Fire still gives, in our opinion, the best value for the money you spend. 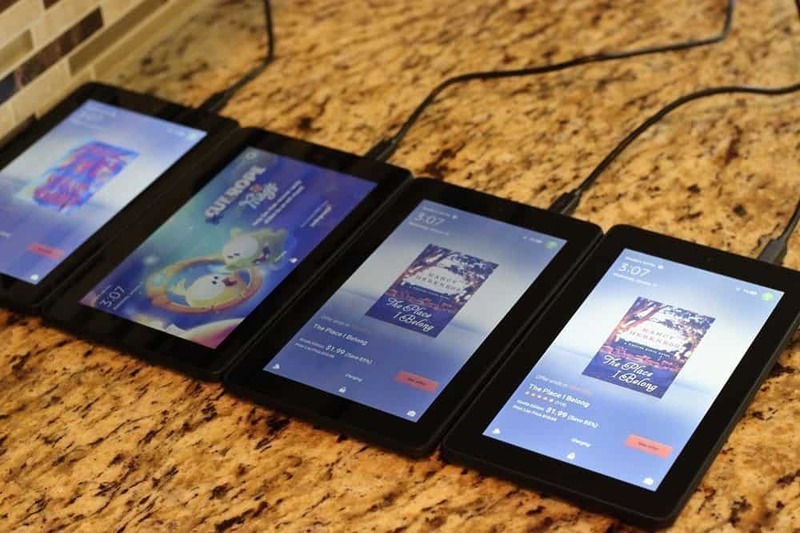 Overall, the Kindle Fire not only has the best performance in its price range, it also has some of the best parental control features available. In my opinion, it’s well worth working with Amazon’s stipulations for all the benefits you receive. Ultimately, my wife and I were able to get 4 of these on a Black Friday deal for $35 a piece, outfitting all our kids with tablets for the price of $140. If one breaks, at least we don’t have to mortgage the house to get another.